As I used to tell my students when I was a classroom teacher, I was in my mother’s womb when Martin Luther King, Jr. was assassinated in 1968. 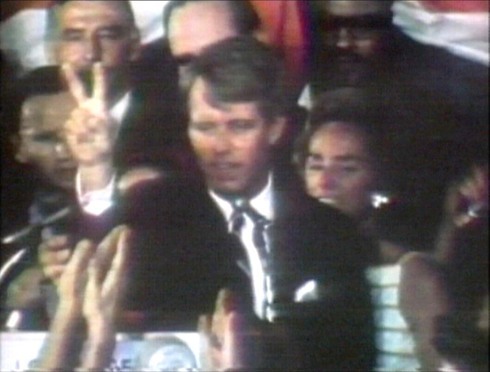 Robert Kennedy was in Indianapolis when he got word of the shooting. He made a plea for calm, in the wake of the terrible news. Two months later, and just a few days before I was born, Robert Kennedy was assassinated as well. 1968 is always described as a historic year. A year when everything seemed to be coming apart, with war protests and the counterculture and the 60s in full bloom. All of us today are living with its repercussions. It’s probably a better world than it was, but it still has a long way to go. 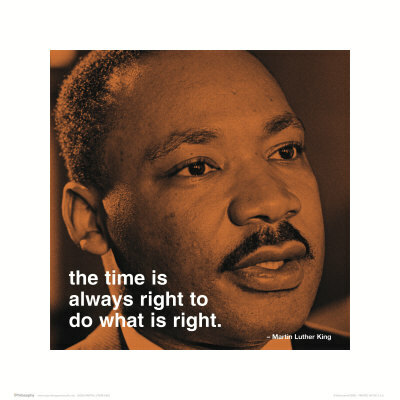 One of the quotes on my Facebook account comes from Dr. King, who said that “We must learn to live together as brothers, or perish together as fools.” We’re still learning, and we haven’t yet perished, either. May the former arrive before the latter. A lot has been written about all of the things that happened in 1968. I can’t add too much to that, except to say that it was also the year I was born. So if I find a penny on the sidewalk, I always pick it up for good luck (I’m superstitious that way). And if it’s a 1968 penny, well, good things will follow me all day long. That’s how it’s supposed to work, isn’t it? In baseball, 1968 is known as the “year of the pitcher” because Bob Gibson had a 1.12 ERA, Denny McLain won 31 games, and Carl Yastrzemski won a batting title by hitting .301. We may never see any of those things happen again, because the pitcher’s mound was subsequently lowered to give the batters a better chance at hitting the ball. But before that, the Cubs also had one terribly bad week, which happened to coincide with the moment of my birth. Some personal background is needed first. I was born on Friday, June 14, 1968 at a few minutes past 12 noon. My weight and length are not important to this story. 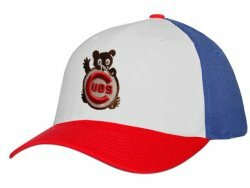 According to baseball-almanac.com, the Cubs welcomed me into the world with a 2-1 victory in Atlanta. So far, so good. The team I would one day call mine was undefeated, so far as I was concerned. The next day, while still in Atlanta, an outfielder named Lou Johnson drove in 2 runs in the second inning, and the Cubs got out to an early 2-o lead. And then, things suddenly took a turn. It was about as bad a turn as could be imagined, as if a group of grown men got together and decided to prove to all fans–both present and future–just how hard it is to follow the Chicago Cubs. Brace yourselves for what comes next. The Cubs didn’t score again that day, and lost 3-2 in 10 innings. That’s how it goes, c’est la vie, you can’t win ’em all, etc. You can imagine the cliches that were being used at the time. One loss is nothing to get too excited about. For the final game of the Series in Atlanta, the Cubs’ ace, Fergie Jenkins, was pitching against Phil Niekro for the Braves. Jenkins pitched 10 innings (yes, 10) of shutout ball, but took the loss after Joe Torre singled home Hank Aaron in the 11th inning. A hard luck loss, of both the game and the series, but the worst was still to come. After an off day for traveling, the Cubs opened up a three game series in St. Louis. Had I been able to understand, it could have been explained to me that baseball teams don’t stay in one place very long, and they have to move around from one place to another in order to play games. But I would have just stared blankly at you, or maybe soiled my diaper, so it would have been a waste of both of our times. The Cubs began the next series with another 1-0 loss. They had now gone 28 innings without scoring a run, which isn’t good but certainly wasn’t cause for alarm. But the next day they faced a young lefty (and future Hall of Famer) named Steve Carlton. Carlton allowed a 4th inning single, hit a batter, and had one of his fielders make a harmless error. And that was it. The scoreless streak now stood at 37 innings, and counting. The Cubs had only one real chance to tally a run before leaving St. Louis the next day. Bob Gibson was on his game for the Cardinals, and the Cubs had only one runner reach 3rd base, and couldn’t get him in. So the Cubs left town oh-for-St. Louis, in wins and in runs scored. I’m certain that the next series in Cincinnati couldn’t come quickly enough. By now, 46 innings had come and gone without any runs scored by the Cubs. I was not yet a week old, and the Cubs were on the verge of setting a record for offensive futility. The record, by the way, dated back to what was called the dead ball era in baseball. It appears the Cubs were doing their part to usher in a new dead ball era of their own. The next game, on the first full Friday of my days here on earth, the Cubs broke through with a run in the third inning. The Reds’ pitcher walked the bases loaded, and Billy Williams hit a flyball deep enough to score a run. The record had merely been tied, at 48 consecutive scoreless innings. And no big league team has come close to matching that feat since. The Cubs went on to win that game, 3-2. They finished the season at 84-78, and were poised to make the next season, 1969, into something special. People still talk about it to this day in Chicago. But no one ever mentions the 1968 season, and particularly that one bad week in the middle of June. And if I hadn’t been born during it, I would try to ignore it, too.